Overshadowed at Huami’s three year anniversary event by the launch of Amazfit Verge and Health Band 1S, was news of the world’s first artificial intelligence (AI) powered wearable chipset. The Huangshan No. 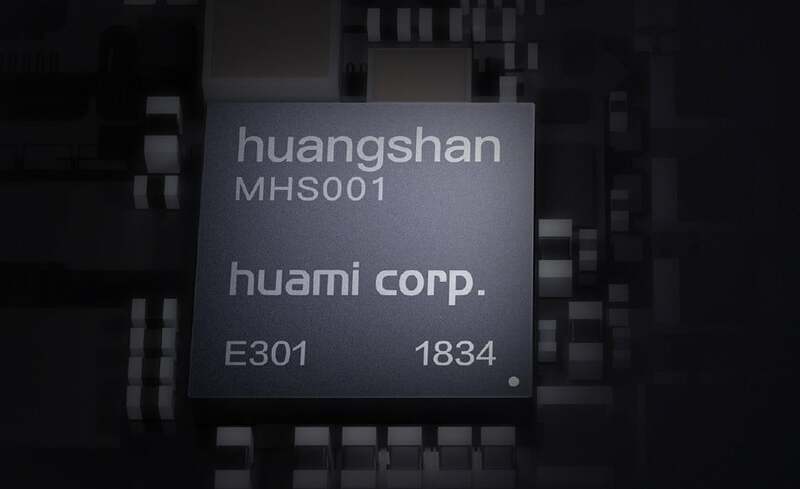 1 (MHS001) is an AI-based processor which consumes low power and uses RISC-V open source architecture. This is coupled with an AON (Always On) ultra-low-power sensor data collection module that allows the processor to automatically send data into internal SRAM for faster and more reliable storage. Gizmochina says Huangshan No. 1 features four core AI engines: a cardiac biometrics engine, ECG, ECG Pro, and Hearth Rhythm Abnormality Monitoring Engine. This should enable a set of features that will give the ECG enabled Apple Watch a run for the money. The processor supports real-time movement tracking, biometric identification, health alerts and more. The chipset can localize AI tasks, so the efficiency is greatly improved. Its clocked up to 240MHz and is manufactured using the 55nm process. Huami says Huangshan No. 1 is 38% more efficient than the Arm Cortex-M4. Wearables powered by the new chipset should start to land in the first half of 2019. This will be very good news for consumers as it should open the door to low cost wearables producing ECG, AFIb and heart rate analytics of similar quality to their higher priced counterparts.